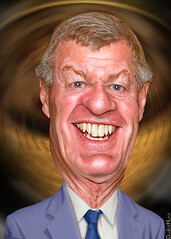 Not content with masterminding Obamacare, which taxes, regulates, and disincentivizes the healthcare industry into nothing more than a capitulatory utility under government control, Democrat Senator Max Baucus used the recently passed transportation bill as the vehicle to exterminate thousands of jobs with the stroke of Barack Obama’s pen. In addition to the $400 million the senator earmarked for his state’s highway system, the Montana senator mischievously added a separate and unrelated special interest earmark to the transportation bill as a nod to his Big Tobacco benefactors at Altria, a parent company of tobacco giant Philip Morris. How did he appease Big Tobacco, one of his campaign contributors? As people are wont to do, smokers sought ways to save money by frequenting the growing industry of roll-your-own cigarette stores, which sell papers and loose tobacco, then let patrons roll their own cigarettes by renting rolling machines kept on the premises. Distributing tobacco products in this manner was akin to people brewing their own beer at home in lieu of buying cases of brew from larger manufacturers that they didn’t care for. The transportation bill rider “closes a loophole” in the tax code by designating these mom and pop shops as cigarette “manufacturers,” subjecting their customers to an additional $25 a carton in costs and taxes and subjecting the stores to expensive and prohibitive regulatory burdens that could force over a thousand of these shops across the country to shut their doors. Thousands of jobs will be lost in the process. Just as the Obamacare tax/mandate doesn’t technically compel individuals to buy health insurance, the new taxes and regulations don’t compel roll-your-own cigarette businesses to close their doors. In both cases, it just works out that way. In addition, taxpaying employees that were providing revenue to cash-strapped governments will now drive up deficits as they are added to the unemployment rolls. The revenues raised would theoretically fund rural education programs. In typical Democrat mastery of the Laffer curve, Max Baucus has closed a loophole to collect taxes and fees from businesses that will no longer exist. As has oft been noted, 100% of nothing is nothing. Thanks to this maneuver, Max Baucus gets to appease his special interest campaign donors, rail against cigarettes, and claim to support education programs. It’s politically clever. However, it’s economically malevolent. Though sympathy tends to run low for members of the tobacco industry, the casual destruction of thousands of jobs in the wake of yet another dismal jobs report should scare the rest of the private sector. It would be as if Max Baucus, to appease Big Agriculture and supermarket chains, wiped local organic food suppliers from the world, leaving only these large corporations to sell produce. Crony capitalism continues. Democrats claim to be for the “little guy,” but many of their key policies end up hurting small businesses the most. For larger corporations, the regulatory and lobbying costs of doing business are a smaller percentage of overhead than for a mom and pop shop sliding by on just enough margin to stay in business and keep their workers employed. Small businesses also aren’t large enough or rich enough to afford their own lobbyists to senators like Max Baucus, so they once again suffer the brunt of the political whims of our elected elite. Aside from the ruse of the rural education program, supporters claim this latest machination is morally justified in the name of fairness and “closing loopholes,” as if sticking another patch on the tax code’s Technicolor Dreamcoat is a moral imperative outweighing the need for working citizens to remain employed. As long as senators like Max Baucus keep legislating more power to the federal government, Americans will continue to suffer under yet more social engineering projects implemented by our political elite through targeted taxation and regulatory scheming. This entry was posted in In Our Own Biased Opinion and tagged Altria, Big Tobacco, Max Baucus, Montana by frick. Bookmark the permalink.